S is for Story or Storytelling. They say a published story has a great plot, great writing, or (hopefully) a healthy combination of both. What do you look for in a story? Great plot or great prose? I need a plot. I'm a plot girl. Of course the writing has to be decent (Twilight did not make my cut for good writing). 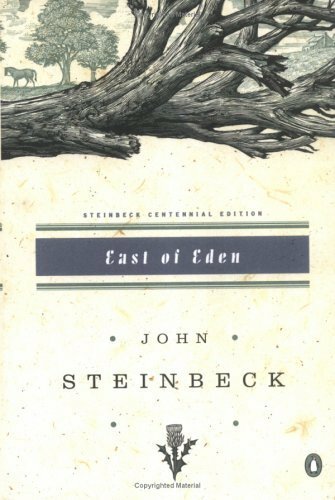 My book club is reading East of Eden by John Steinbeck this month and I'm drowning in prose. I know I'll burn for saying this but the plot better pick up because I'm bored. How to Jump on the Media-Go-Round @ Guide to Literary Agents. Let's Be Friends--Social Sites and Marketing @ The Blood-Red Pencil. 99 Cent E-Books and the Tragedy of the Commons @ Nathan Bransford. What's So Great About: You and Your Marketing Plan @ Books & Such Literary Agency. Now You Can a Borrower and a Lender Be @ Pimp My Novel. Some Thoughts About Queries @ Scott Eagan. How to Get an Agent (NOT!) @ Rachelle Gardner. Query, Ho! The Anatomy of a Query @ The Other Side of the Story. Synopsis Hell @ Dystel & Goderich Literary Management. Do Editors Edit Anymore? @ Writer Unboxed. Deep Point of View: How to Avoid Head-Hopping, Part 3 @ The Blood-Red Pencil. If you're a writer... (great link on POV) @ Janet Reid. How $1 Could Make You a Bestselling Author @ Guide to Literary Agents. Culprits that Block Writers from Reaching a Pro Level @ Writer Unboxed. 6 Things Writers Can Learn From Hemingway @ Rachelle Gardner. Free FtQ Chapter: The Yin and Yang of Adverbs @ Flogging the Quill. Lena Coakley on Working Through an Agent's Critique @ Adventures in Children's Publishing. New Agent Alert: Judith Engracia of Liza Dawson Associates @ Guide to Literary Agents. As always, a wonderful list! I always visit on Fridays to take advantage of your compilation. Ever thought about including a section of interesting posts by NCW members? I'm a characterization girl first, but plot comes a close second. In fact, I tend to forget prose when I write. I always found Steinbeck tedious and East of Eden was one of the worst. I don't think it's plot he lacked because the movies based on his plots always turned out pretty well. We'll burn together, I guess.